Want it by Thursday 25th April? Order within 8 hours, 56 minutes and choose Royal Mail 24 Hour Delivery at checkout. Just made for the thrills and spills that are what life is made of with a little one. 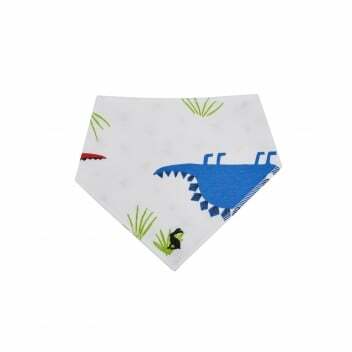 This little bib is reversible, with fun a dino print on one side and quirky triangles on the other.